“Sensory issues” is a term pediatric therapists often use to describe differences in how a child reacts to incoming information which is measurably different than what we would expect to see. This includes differences in how a child might perceive and process what he sees, feels, hears, smells, tastes, and how he reacts when he moves. Many children with language delays also exhibit difficulties in processing sensory information. In fact, this difficulty is quite common in all children affecting 1 in 20 according to recent estimates. The new term for this is sensory processing disorder, and it’s based on work by occupational therapist Dr. Lucy Jane Miller. I highly recommend her book Sensational Kids as a resource for parents and therapists who are looking for help understanding sensory differences in young children. You can find other information at her foundation’s website at www.spdfoundation.net. Another good resource is an older book by Carol Stock Kranowitz called The Out of Sync Child. This book discusses and groups sensory issues into categories a little differently than the more recent classification systems, but it’s still an easy read for parents. The best online resource for sensory processing issues I’ve found is a website called www.sensory-processing-disorder.com. It’s written by an OT who also parents a child with sensory processing disorder, so she’s lived it and writes about challenges from a parent’s perspective in addition to her professional experience. I cannot say enough positive things about this website, and I will be recommending this as my first and favorite resource for parents of children on my own caseload. This is also a great tool for pediatric therapists of any discipline who are looking for ways to help themselves and the parents they work with understand sensory processing differences. 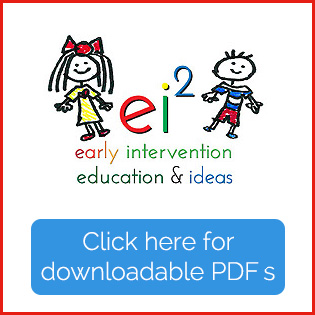 In addition to easy to understand explanations, this site is full of additional resources for parents and professionals alike. One great article includes a checklist to help determine if your child?demonstrates characteristics of sensory processing disorder. 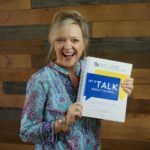 I’m also currently talking about sensory processing issues on my show “Teach Me To Talk with Laura and Kate.” Listen to shows #10, 11, 12 and this week’s show, #13, for more information. In shows #10 and #11, the focus is on explaining and identifying different kinds of sensory processing issues. In show #12 (unfortunately, not titled as #12, but it falls between #11 and?#13 which will be labeled), we discuss how sensory issues affect a child’s social and emotional development. In show #13 we’ll discuss how a child’s play skills can be affected by sensory processing disorder. In all the shows Kate and I talk about children we’ve treated who have these kinds of problems. You may recognize your own child in these examples, and hopefully, learn some new ideas. 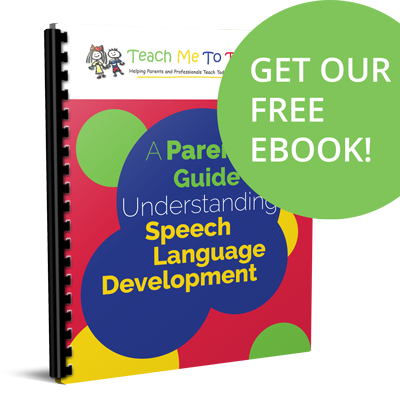 Being more aware of and empathetic to your child’s sensory differences can give you another avenue for understanding his or her developmental challenges, and ultimately, help you to become a better parent for your own child who is struggling to learn language. Thanks for sharing this. More and more people are talking about sensory processing disorder now. I’ve checked out the sites you mention and they offer a good deal of information. I also maintain a Collection page on Sensory Processing Disorder content at Trusera. I Just found out my 21month daughter has spd what at home things can i start to help her?